Ok, I am Blonde - this is going to be my excuse for thinking that HealGel was some kind of remedy formula, Ohhhhhhh no ! I have only tried Face so far, so this review is based on my personal use of this product. HealGel Face is and advanced formula for face and neck that counters the visible signs of ageing, ideal for both daytime and night- time use. It's triple phase hyuralonic acid complex provides an instant firming and plumping effect, and the luxurious, unique blend of Omega and seed oils hydrate the skin while improving elasticity. 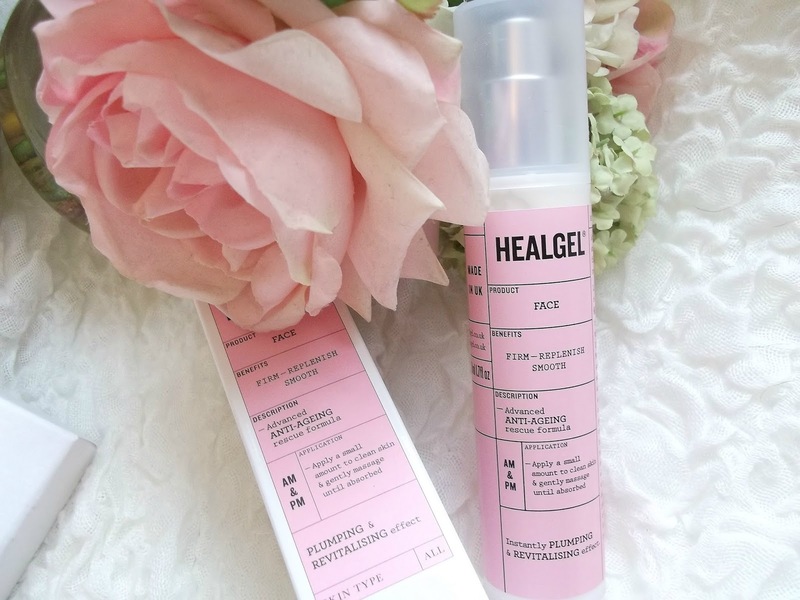 HealGel Face was created by an outstanding team of cosmetic and aesthetic surgeons and a renowned dermatological biochemist to provide a plumping, smoothing and firming effect. 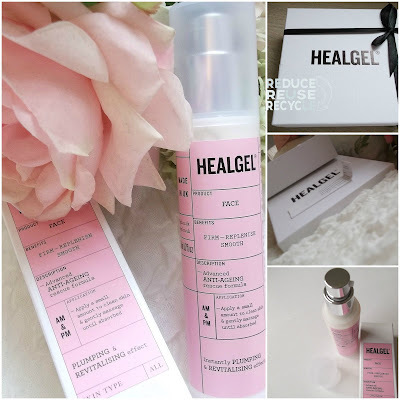 On first look I adore the packaging, it has a really feminine but clinical look to it, yep (strange but true) there is something just lovely about the simplicity, don't for one second be fooled by this simplicity, what's inside is by no means simple ! A gorgeous salon type fragrance which is clean and spa like, nothing flowery or over perfumed. 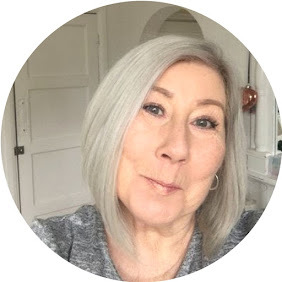 a couple of pumps is all you need for face neck and decolletage, it melts into the skin leaving a non greasy surface and a finish that allows you to go primer free for a perfect base to foundation. Here is what really shocked me, on first use I thought " this is nice " it made my skin look fresh and glowing, it felt firmer and just looked "better"
But.................in the evening, minding my own business watching TV, I happened to touch my face.....yes, yes, weird I know, no idea why I did it, BUT for the first time ever I was aware of the fact that it felt soft and still moisturised from the morning, my skin is pretty dry and will happily drink anything within a few hours, but it didn't manage to slurp up this cream, it still felt lovely and soft in the evening when I removed my make up, and I swear it made the foundation last longer. I used it again as a night cream and my skin was positively glowing in the morning. This really is a keeper, do not underestimate this product, it is quite simply fabulous. and you really will see a difference.